Our WordPress GDPR plugin allows you to show a notification bar and ask for the user consent before using the cookies. 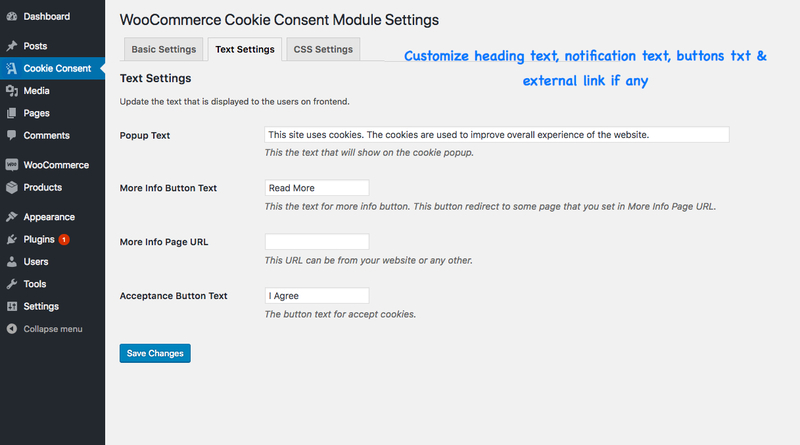 This is the only plugin in the market that asks for user consent before using the cookies. All available plugins in the market only displays cookie notification bar and does not ask for the consent. This practice is only 50% compliance with the GDPR. As you must ask for consent before using the cookies to comply 100% with GDPR cookie law. However, if using cookies is critical for your website to function properly. 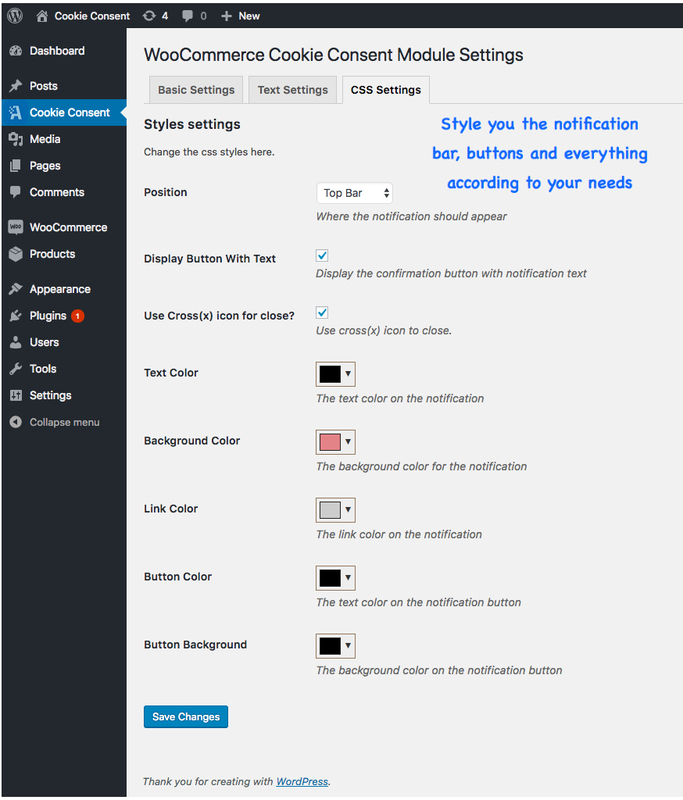 You can enable the automatic mode of operation in the plugin. Where the plugin will not ask for consent but just displays a Cookie usage notification bar to user. This is however a partial compliance with GDPR Cookie law. WordPress – WooCommerce has already released an update where merchants can download any user data upon request and delete them from back office as well. Currently what is missing is “Cookie consent”. 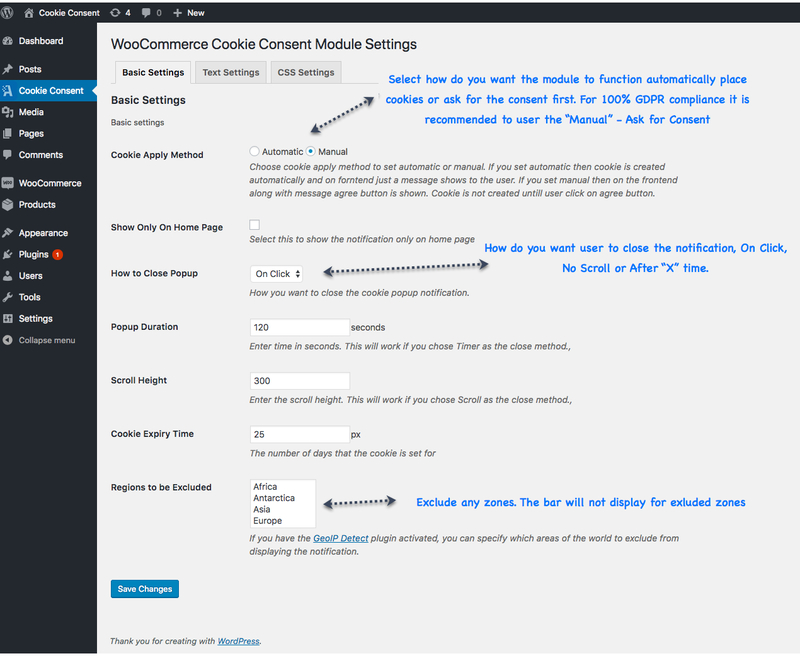 This plugin will add cookie consent feature to make your store complaint with GDPR EU cookie law. You don’t need to add any plugin that allows you to download customer data and delete them on customer request as WooCommerce &amp; WordPress has already released an update with these features.